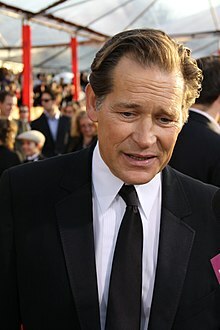 جیمز رمار (اینگیلیسجه: James Remar) آمریکالی دوبلور و اوْیونچو. آمریکادا دۆنیایا گؤز آچیب. 1990 Tales from the Darkside: The Movie Preston Segment: "Lover's Vow"
Papa: Hemingway in Cuba Santo Trafficante Jr.
1981 Hill Street Blues Cooper Episode: "Rites of Spring"
1985 Miami Vice Robbie Cann Episode: "Buddies"
1987 The Equalizer Tremayne Episode: "High Performance"
Deadly Nightmares Ron Episode: "Homebodies"
Crime Story Smilin' Jack Episode: "Blast from the Past"
Tales from the Crypt Red Buckley Episode: "Dead Wait"
1999 Walker, Texas Ranger Keith Bolt Episode: "The Principal"
2000 18 Wheels of Justice Mitch Davis / "Gabriel" Episode: "Wages of Sin"
Strong Medicine Guy Falls Episode: "Systemic"
The X-Files Professor Josef Kobold Episode: "Dæmonicus"
2002 The Twilight Zone Alois Hitler Episode: "Cradle of Darkness"
2003 Peacemakers Cole Hawkins Episode: "Legend of the Gun"
Without a Trace Lucas Vohland Episode: "Confidence"
2006 CSI: Miami Capt. Quentin Taylor Episode: "Open Water"
2006–2007 Eli Stone Salinsky Episode: "Praying for Time"
2009 The Unit Reece Episode: "Hero"
Criminal Minds Tom Benton Episode: "Demonology"
Numb3rs Randall Priest Episode: "Arm in Arms"
FlashForward James Ermine Episode: "Blowback"
Private Practice Gibby Episode: "Playing God"
2011 Human Target Warden Cole Episode: "Warden Cole"
Hawaii Five-0 Elliott Connor Episode: "Ua Hiki Mai Kapalena Pau"
2014 From Dusk till Dawn: The Series Gecko Father Episode: "Boxman"
↑ Destiny - End Credits - IGN Video. IGN Video. 2014-09-11. 4:30 (Voice and Motion Performers). http://www.ign.com/videos/2014/09/11/destiny-end-credits. Retrieved 2014-12-04. اینگیلیسجه ویکی‌پدیاسی‌نین ایشلدنلری طرفیندن یارانمیش«James Remar»، مقاله‌سیندن گؤتورولوبدور. ( ۲۲ ژانویه ۲۰۱۸ تاریخینده یوْخلانیلیبدیر). قارداش پروژه‌لرده جیمز رمار گؤره داها آرتیق بیلگی‌لر تاپابیلرسینیز. بۇ صفحه‌‌ سوْن دفعه ‏۱۳ مارس ۲۰۱۹، ‏۱۲:۲۰ تاریخینده دَییشدیریلمیشدیر.